Don’t you just love exercise? No? Do you at least have a crush on it? No again? Don’t tell me you hate exercise. If you do, that might be why it “doesn’t work for you.” As it turns out, exercise usually works better if you believe it will. Your attitude, thoughts and feelings about exercise can determine how beneficial it is for you—for your body, your brain and your mental health. I did a poll on social media for word association where I asked people the first thing that came to mind with the word “exercise.” All of the responses were real and there were two distinct categories of words. Oh God, please help me get this over with. For many people, the weight of obligation and drudgery hang over exercise. This makes it harder to get started and have a good workout, and can erode the benefits when you do. A recent study found that people benefit more from exercise when they believe it will have a positive effect. A psychologist and his team found that test subjects derived more psychological as well as neurophysiological benefits from exercise if they already had positive mindsets about sports. Moreover, the team discovered that test subjects could be positively or negatively influenced in this regard before engaging in the exercise. You can’t think yourself fit, but the mind does have power and we are better off to neither overstate nor underestimate it. Instead, we simply need to respect it. Consider the attitude that many people have about exercise—it’s not usually a positive one. You hear things like, “Exercise doesn’t work for me,” or “I really need to get in shape.” And more than the words, it’s the tone that people use, which usually indicates they’d rather not be doing it. Stop doing any form of exercise you hate and only do physical activity that you enjoy. If you just rolled your eyes because you don’t enjoy any form of physical activity, then you have yet to discover a form of it you enjoy. There are substantial differences in how much any individual enjoys physical activity, but no one is born with an innate hatred of it. There are no fish born hating water. We don’t hate what is essential to life and to thriving. We learn to hate it by making negative emotional associations, often subconsciously, as a result of repeated negative experiences. As I wrote about not too long ago in a previous post, your expectations and beliefs about exercise can ultimately promote—or possibly inhibit—its benefits. A group of people who were told that their activity was enough to meet government guidelines showed better results and more positive physical changes than a group of people with the same activity level who were told nothing about whether or not their activity met established guidelines. As with many things in life, people who are convinced something is terrible and that they will hate it are always proven correct. But anything we need to consistently do to optimize our lives gets easier to do and we get more out of it if we enjoy it. If we become sedentary, we are less than our best selves. If we are using willpower to exercise, then we are doing exercise wrong. Willpower is for the occasional things in life. Doing something under a spirit of coercion rarely leads to long-term success. Who knows how much each factor contributes? As we’ve seen there is a real physiological effect from your attitude about exercise, but there are also likely other intangible factors. If you’re finding every minute miserable, you won’t put that extra little something into it. If you’re embracing the challenge, you’ll give a little extra and maybe do a little more. Multiply that extra little something by months and months, and you have transformation. The only way to exercise forever is to learn to enjoy it. Take a new class, do something with another person, get a pet that needs walking or help take care of someone else’s, or try a new physical skill, sport or activity. Cast a wide net until you find something movement-based that puts a smile on your face. 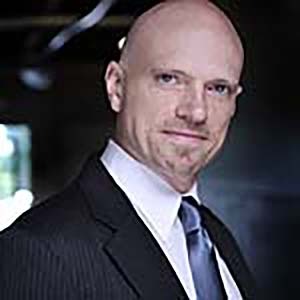 Named the 2010 IDEA Personal Trainer of the Year, Jonathan Ross serves as ACE senior consultant for personal training. Owner of Maryland-based Aion Fitness, his passion for health developed after growing up with nearly "800 Pounds of Parents." Jonathan has received numerous awards throughout his career. His book, Abs Revealed, delivers a modern, intelligent approach to abdominal training.